Hollybeary Creations : Happy Birthday Hop!! 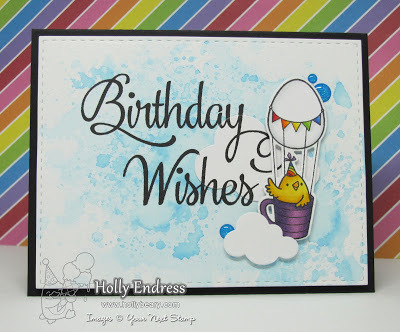 I have a fun Birthday Card using the Birthday Chickie Stamp set and some Distress Inks for a Fun Background. You can find more details on how I created this card in this post here. 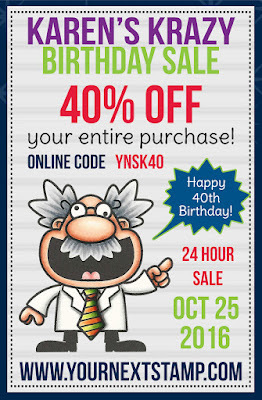 Today only in the YNS Store Karen is offering 40%*!!! *FREE Shipping will not apply during the 40% off sale. All orders that usually would be eligible for free shipping will have a flat rate of $10.00 applied to the order upon check out. The discount code MUST be applied during checkout - no refunds will be applied to orders placed without the code. Discount is on in stock items only, no rain checks. Head over to the store and grab some goodies today.. 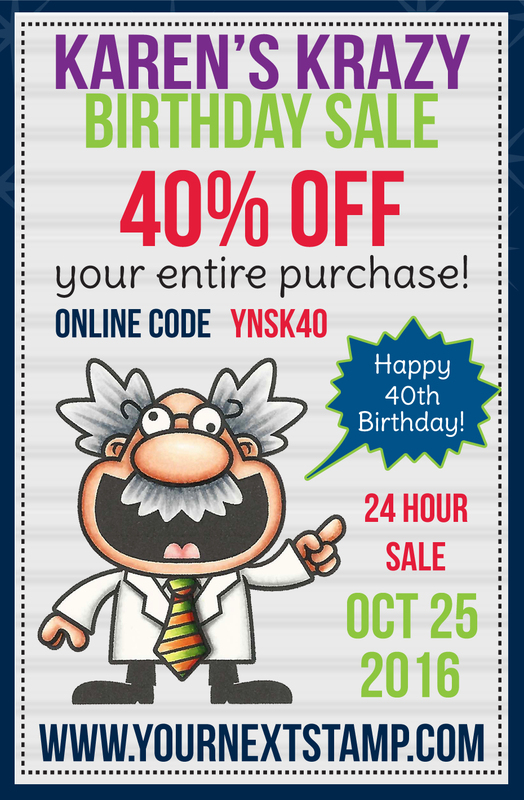 This is a 24 hour sale valid October 25, 2016 only - the sale ends at midnight EST . Are you ready to Hop along as a we Wish Karen a Happy Birthday!!! Awww so cute! I love that chickie stamp! Happy birthday to Karen!! This is adorable! Love the coloring. Instant smiles!